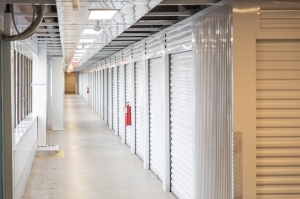 We offer modern, 100% climate controlled, self storage. 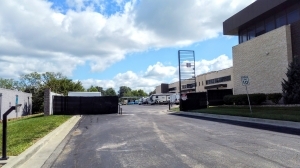 RV/Boat storage, secured gate access, 24 hr video monitoring, wide drive aisles, and an onsite manager. We also offer a wide variety of moving supplies. Call now to speak with a storage expert. 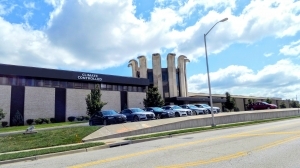 Providing climate control storage units for the Overland Park, Lenexa, and Shawnee communities. Located at the I-35 & 69 HWY intersection. The staff was very helpful when processing a new rental. Thugh I got at the end of the month, they prorated my initial partial month so that the free month could be applied to the first full month. The unit was exceptionally clean and the move in process was easy. This is my first time renting storage and I couldn't be happier. The location looks very clean, secure and easy to navigate. When I arrived to sign paperwork, any questions I had were answered politely and clearly. I have no doubt the climate-controlled indoor storage will keep my items safe. Thank you for your help! Found this storage using sparefoot and so happy I made a reservation. Customer Service is amazing and the storage is clean and very easy to use.This site is so easy to use and it only makes the reservation so you are not charged anything if you don't want the unit. Very satisfied with my experience overall. Fair warning, they require insurance (minimum $9/month for $2000 coverage), so the price will be a bit higher than quoted here. Clean facility. Professional and friendly service. The space is clean, secure, and affordable. Staff is friendly and helpful. Would definitely recommend this place. Excellent Customer Service & Clean Facility! 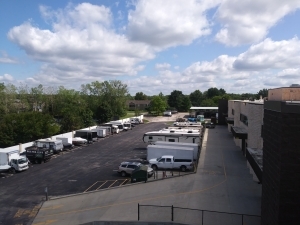 Storage & parking for an RV! Deyana is one of the best people in customer service I have dealt with. She was nice, knowledgeable, and very helpful. More +s than -s, but we have had some unresolved issues. I feel this facility is well maintained and priced competitively to other franchise climate controlled ones in this area. I have experienced problems with other customers blocking our unit while moving in & out & have had to return the next day to complete my work. This was reported to management, but was never addressed or resolved in how it wasn't handled at the time or since. The complimentary moving carts are a nice & helpful feature. I haven't had to interact much with the staff, but when I have, they have been very friendly and helpful. The facility seems to be kept clean, and I appreciate having dollies available to help with moving items in & out of the storage unit. 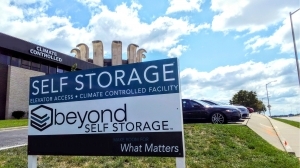 I have no complaints and would recommend Beyond Self Storage to anyone with storage needs! They get you in cheap then they keep raising the price. Title says it all. Very friendly and helpful staff. Nice facility with easy access. Just wish it wasn't so pricey. Nice lot for my trailer easy to maneuver around with oversize trailers. Staff is nice only once had an issue getting in at night and they answered my voice mail in less than 5 mins. I am always impressed by how fresh and clean and clean smelling the building is. Getting the unit was very simple I love the easy access elevators and push carts. All is as expected. No issues. It's a great facility with good management. Great place to store your possessions. I have been here 2 years with no issues at all. Good prices and very clean. 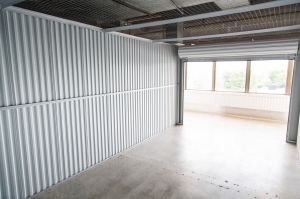 We worked with Deanna to secure a storage unit. She was very friendly and helpful. We went to multiple storage places and decided on this one. Thanks! Great service. Super easy access. It works for me. Thanks for the updates and blessings to you both of you. Clean, competetive price, security is high, location is not ideal. Overall this is a good place for storage. 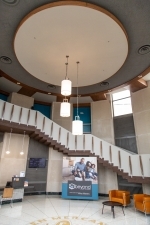 Prepare to jump through some hoops to get to store your stuff there though and the staff could use some improvement when speaking to current tenants. Store it and forget it. Pretty good place. Very good with communication. High turn over on management though. Iâve had a unit for two years and seen 5 different site managers. 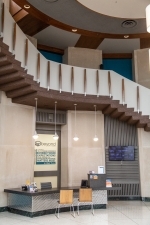 This place is great and knowledgeable they are a very friendly staff and we love using the facility. I currently use two other storage facilities that are geographically closer to where I need them, otherwise I would use BSS in Lenexa. I have also used several other facilities in the metro in the past. BSS is by far the best priced and most well-run. The facility is state-of-the-art for a storage facility and very well-maintained - even the bathroom is nice. The place is spotless and Nicole is tremendously helpful and knowledgeable! Everything seems very secure and I love that my items are not subjected to heat and cold. Have been very happy with service. Very clean well kept area. I feel very comfortable knowing all my belongings are safe in a climate controlled environment. Very happy with everything. Location is very good and they are good about keeping customers informed but pricing is very high and outdoor security/surveillance is unimpressive. NICE FACILITY, PROBLEM WITH THE LIGHTS GOING OFF WHEN IN UNIT. This is our first time using a climate controlled storage. I love it. I like that our personal belongings are not baking out in a hot facility, it's secure with pin key pads and cameras and the process was easy. Great facility. Reasonable prices. Wish it hadn't gone up in the first 6 months but I want that surprised it happened. Overall a great place! simple and quick. i needed a storage unity quickly and they helped me set one up in less than an hour. I needed a storage unit within a couple hours. My experience was fast and friendly! I found the storage unit on line. The customer service was fantastic. My thought was I just need a storage unit, the person on phone helped me with the size I would need which was perfect and asked if I was an AAA member which saved me more money. Once at the unit the person assisting me was very efficient and friendly. I think I was at the storage facility maybe 20 minutes to complete the paperwork. I liked that it was simple to set up and easy to get into. Exactly what I needed. What an incredible storage facility! The customer service was above and beyond what I normally receive at a self storage. I was really surprised at the cleanliness and security that JOCO SELF STORAGE offers it's customers! I would highly recommend this storage company to anyone! Great customer service, easy to find available units online. Building is well-lighted, very clean. Very reasonable prices Easy access to I-35, centrally located in Johnson County. Safe, security sensors and cameras. Nice, clean, and easy to access facility. Facility is clean and easy to access for an inside facility. 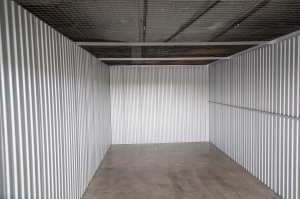 I typically avoid interior storage units, however, the climate controlled conditions, freight elevator, and free-to-use carts made moving our belongings easy! This is an amazing facility! Brand new and such a great location! I am very impressed by my experience here. So happy I found this place. Alisha is so friendly and nice. I would recommend this place to everyone! I had an amazing experience. Would recommend this to everyone!!! Alisha is awesome! Best storage facility I've ever used. Looking forward to being a customer here. Property was clean, well lit and easy to get to. Staff was professional and very helpful. I have enjoyed working with JOCO storage. They are very flexible and easy to work with. Great staff, extremely clean facility, and very easy to set up with SpareFoot online. This place is great! Very clean, easy access and well lit! I would highly recommend this storage place to everyone! It's definitely less expensive than any other place I called yet has the best customer service and the best facility! All units here are climate controlled. Very clean easy accessible load in. Very accommodating. My reservation was messed up by Sparefoot and JOCO did their best to make it correct. Alicia was absolutely amazing. Everything was handled in a very professional manner. She paid attention to everyone that walked in the door and kept apologizing to me for the interruption. No need to apologize for greeting every customer. Would definitely recommend to everyone. This place is so great, the staff here is just amazing! The two ladies that work here are so friendly and helpful. 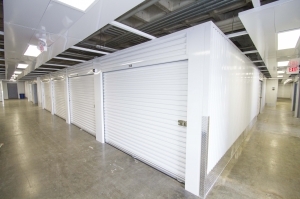 This company has definitely changed the face of storage, it is definitely a different experience from what I have dealt with in the storage industry in the past, it is so clean, we'll lit, and filled with a great staff, it is hard to believe your in a self storage facility. I will definitely be telling everyone I know about JOCO self storage! I have rented many storage units over the years from the "big names" and this place takes the cake. When you walk in the office is so unique and clean you don't think you're in the right place. This seems to be the theme through the entire facility. It's bright, white, clean and SAFE. As a single female these are the key items that makes this place stand out above all other storage. I figured they have to cost more because it is so nice but surprisingly they are either the same price, or cheaper, as the other places close by. The new management and customer service is above my expectations as well. I couldn't ask for a better place to store my items! Fast and easy to check in. Friendly staff and clean facility. Overall a pleasant experience. Fast, simple, and clean! 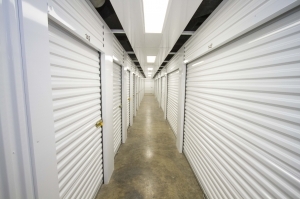 After researching many storage units online, JOCO Self Storage seemed like the best one. Staff was friendly and straightforward about pricing, units are very secure and open until 10 pm. They were very helpful, inexpensive and clean and I am glad I chose to do business with them! Friendly, helpful staff and clean storage! Very clean facility and excellent customer service. All communications have far exceeded my expectations. The representative handling the facility does an excellent job. So much better than my last storage facility!! I was spending more than twice as much at Public Storage for a unit the same size, not climate controlled and with shorter access hours. I was finally fed up when two squirrels got into my unit- and died! I have no worries with JOCO Self Storage. Great customer service. Made move in extremely easy. I needed a storage unit and found this place online! Absolutely fantastic and I was able to move in right away! It was a very nice experience for my first time using storage. Nice clean and friendly....a breeze to move in!! Office manage very nice. Very clean units and very easy loading and unloading area. This is a very nice facility. Super clean and bright. I definitely recommend! The staff is nice and it's a good price. Clean, newly renovated, high quality facility. I just moved in here yesterday and it's been a really easy process. 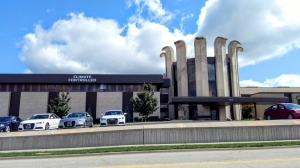 The place is in a heavy duty office building that's been recently renovated for storage. Well-lit, new elevator, very clean, and helpful staff. I left Public Storage and their terrible customer service and facility to move to JOCO where they actually care about their customers. Exceptional service Fantastic facility. Second floor had a musty/mildew smell to it. Other than that, everything was great. THE GM Stevey and Daniel were fabulous. Easiest move in ever. Painless Efficient Reserve online, it was great for someone that was relocating from out of state. I love the fact you can go online, reserve a unit of your choice, the facility staff text and email you reminders, you may call them or write them asking if you may check in early. The promotions you had an option, of either one month free, or 1/2 off 3 months. 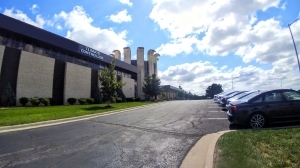 The facility has camera's, security and a live in GM that can oversee the facility. That is a huge selling point for me. When arriving Daniel met me and my niece in a very professional friendly way. (See above statement from me) If I will be moving my furniture from Wyoming, I will be storing at JOCO. Stevey spent an hour the next day, helping me understand the area, referring me to where I need to be or locations of stores in that area. Thank you Daniel and Stevey for your support, guidance, suggestions,recommendations. YOUR the BEST! :) Both staff walked out to the area when people were moving in to make sure the path was secure with several other clients unloading. :))))) The owners/investors are very privileged to have two very experienced professionals on there staff and facility. The lady who greeted us was very professional, and handled our needs very quickly. When we got to our storage unit, it was very clean and right where she told us it would be. Very pleased with her service and the unit. I would recommend this location to anyone. 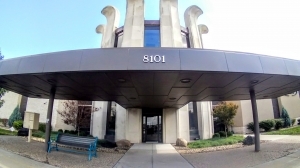 Great facility, very clean and easily accessible units! JOCO is the best! Super organized and efficient staff, friendly and informative. We truly appreciate the new-feel of the whole building, everything is in good condition and well-lit, air conditioning and even a restroom! Simply fantastic for our needs! Great security features. I will recommend! Prices and service were fantastic. I will be here a long time. Stevey found me the right price and even without a reservation. Moving is stressful but not at JOCO Self Storage! I got the right size at the right price and even a moving truck. Manager was very helpful and friendly. I will definitely recommend! Daniel was very professional and thorough during initial check-in. The process was smooth and straight forward. I like the cleanliness and set up of the facility. Good access to unloading point and elevators. Daniel was great at check-in and made the process go smoothly despite the lobby being under construction that day. He was thorough and professional. I asked for a bigger size than I needed and they helped me save money. Very nice surprise. Thanks guys! This place is outstanding, professional and secure. I had a very pleasant experience setting up a meeting, finding the place and in turn, renting a storage space. Straight forward sales approach made for a quick in and out visit to get set up. Great place, I was impressed. I was impressed by the helpfulness of the staff. The facility was clean and very bright. I was pleasantly surprised by the service and cleanliness of the facility. We were warmly greeted by someone that seemed to care about our needs and was extremely helpful with the whole process. Would recommend to other looking. I found this place online and was pleasantly surprised at how nice it is. The price was phenomenal and the facility nice and clean and new. Clean! Great access! Helpful staff! This place is great! Stevey, NEW onsite manager is super nice and very helpful. The exterior parking is secure and easy to get around in. The drive up ramp wraps the m entire side of building so you can unload at any of the 3 exterior door locations. I thought storage was just storage? I found JoCo Self Storage one day when looking for where to store excess business materials. I noticed their sign off of I35 so I stopped in. Stevie (sp?) was the NICEST woman and incredible helpful. She toured me through the facility and showed me how their well-lit, highly secure, brand new units were head an shoulders above anything else I've seen in the area. After the tour she was kind enough to follow up with a call, and it was there I booked my unit. They really run a first-class operation there! I had such a good experience at JOCO. The new management went above and beyond to help me get the best unit at a great price. Kudos!